KOKUSAI ELECTRIC proactively offers proposals on tool audit to assess the health of the tools and repair and/or refurbishment of parts at low cost so that customers can minimize their cost of fab operation. 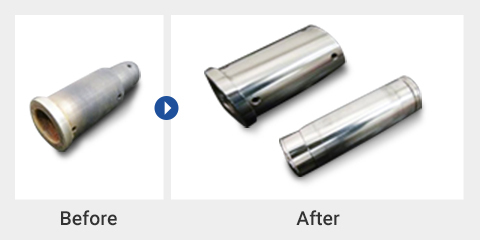 Furthermore, in order for customers to use our tools for a long period of time, we provide altnernative parts to replace discontinued parts and offer renovation items that contribute to improvement of tool function and productivity. We value "Voice Of Customer" (VOC) and offer various proposals to upgrade other functions as well. 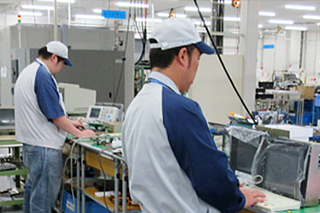 KOKUSAI ELECTRIC offers tool maintenance and parts repair/refurbishment for customers to minimize their cost of fab operation. Please feel free to contact us for more information. Heater cable and thermocouple cable replacement. Service launch of the tools purchased by the customers. Repair provided by experienced staffs of repair dedicated lines. Pre-shipment inspection provided equivelent to the one for new parts. Function upgrade at time of repair. Cost reduction by parts refurbishment. 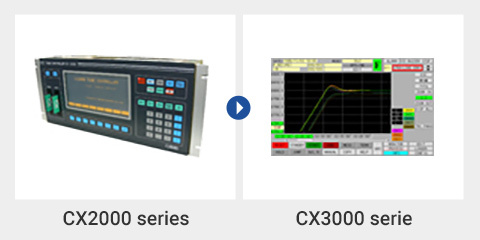 KOKUSAI ELECTRIC provides added value through tool renovation, development of alternative parts and tool audit to meet customer needs that is to use semiconductor manufacturing equipment for a long period of time. (1) Tool audit: We investigate potential failures of tools in use for a long period of time and propose preventative maintenance. Reveal tool conditions by tool condition monitoring systems. Development and sales of alternative parts. Sales of used parts after thorough performance check. Replacement of controllers to its latest series. Conversion from large-batch tools to mini-batch tools suitable for production of wide variety of product in small quantity. 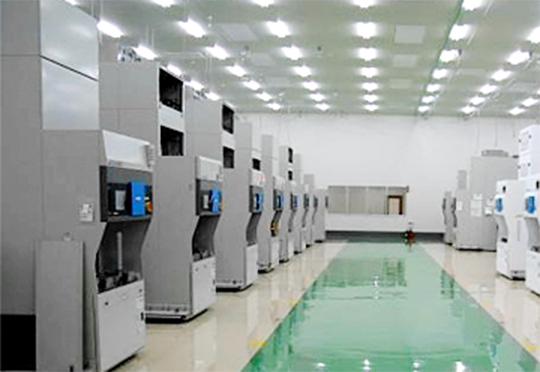 Production upgrade by increasing number of wafers to be processsed. Upgrade to high-speed transfer units. We offer optimum used tools in a short delivery time in collaboration with the business partners. Relief, safety and stability are ensured thanks to a guarantee by a tool maker. Refurbish is done in accordance with the specifications of tools that are already installed in customer's fab. We offer optimum specifications at a reasonable price when needed. We propose turn-key solutions in cooperation with the business partners. VERTEX series, Horizontal, Epi, etc.